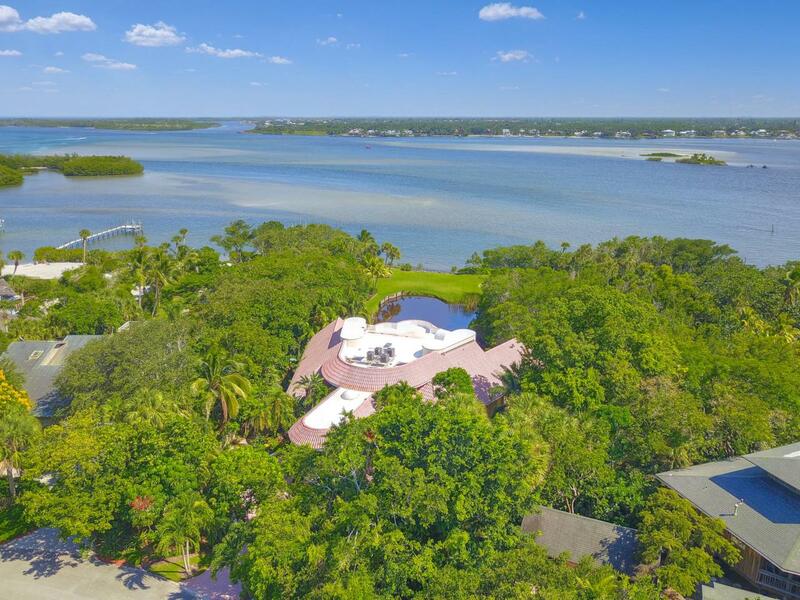 Amazing waterfront estate, situated on over 2.5 acres, located at the southern point of South Sewall's Point. This poured concrete, structurally sound home boasts 4 bedrooms & 5.5 bathrooms plus den, media room, spa room with sauna, elevator, rooftop terrace, and more! Stunning river views from every room! This backyard oasis is paradise with this lush tropical landscaped grounds, large pool & hot tub with slide, outdoor bar, inland pond, & walking bridge that leads you through the beautiful mangroves to the dock & boat lift. The private master suite is located on the 3rd floor with large his/her walk-in closets. Rare opportunity to own this trophy estate designed for grand scale entertaining.